We recently purchased a Motorola WiFi baby monitor and i wanted to see if I could incorporate it into Home Assistant. Full disclosure–we ultimately were not happy with the monitor and returned it, but for anyone who uses it and enjoys it, this may be useful. 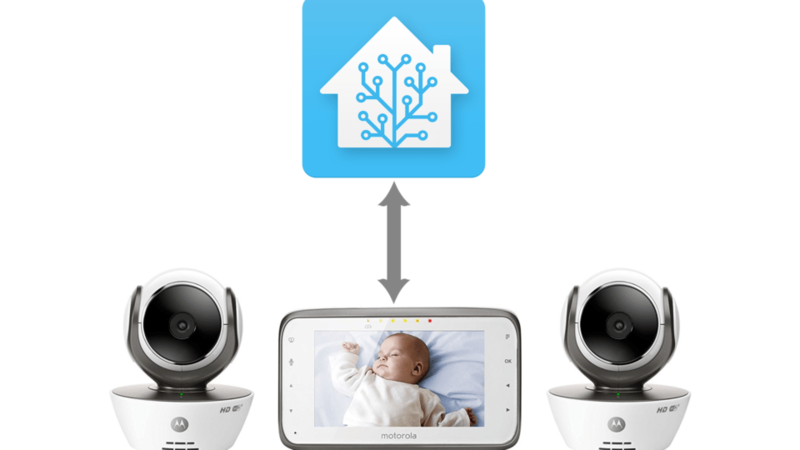 An internet search led me to this blog post about “hacking” a Motorola baby monitor. The author digs into the network traffic quite a bit, but for me the most useful information was the URL to fetch the temperature–http://<camera-ip>/?action=command&command=value_temperature. I looked to another useful resource–iSpyConnect’s database of camera stream URLs–to get the actual video feed URL. Then I plugged those into my Home Assistant configuration.yaml file. command: python3 -c "import requests; print(requests.get('<camera ip address>/?action=command&command=value_temperature').text)"
After that I had a camera.nursery_camera entity and a sensor.nursery_room_temperature entity to incorporate into my UI and automations, etc. Home Assistant was even smart enough to render a thermometer icon for the temperature sensor automatically.